If you’ve ever called or emailed us at ArtisanHD, you most likely spoke with Mike, our resident print expert. 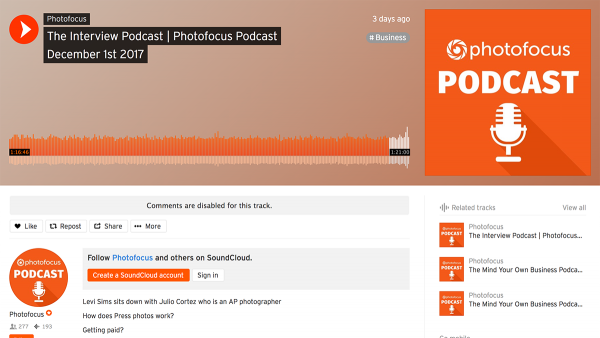 Listen in to this PhotoFocus interview podcast around minute 26 (00:26) to learn more about what sets us apart from other print shops. We also discuss our most popular print material, brushed aluminum Dibond, and our new non-glare product, TruLife Acrylic Face Mounting. Everything we do is done right here in Scottsdale, Arizona. We do not outsource any of our work! Our prints are entirely custom, which means if your image is not high-quality enough to be printed at the size you choose, we will let you know. Because each print is custom, you can print at nearly any size. Play with our Customizer to see what we mean. Your time and money go a lot farther ordering from a print lab, as opposed to printing your work at home. We recommended calibrating your monitor and/or test printing before ordering a full-sized fine art print. Keep in mind that each photo paper is slightly different, and will affect your print in different ways. We printed Levi’s image on FujiFlex encapsulated with Sintra, finished with TruLife Acrylic. When comparing our print (around 01:09) to another print, he calls the TruLife version “luminous”. From his article on Photofocus – “… when the print arrived I was floored. It’s so bright. It’s like it picks up all the light in the room and lets it shine forward out of the print, like light from the edges is gathered and shone forward, too. I love it. It truly shows the vision I had in each step of making this photograph. Give TruLife Acrylic a try at 25% off, through December 18th!